This action executes the Apache Ant command line build tool, making it easy to integrate legacy build scripts into your FinalBuilder build. The path to an Ant project file to build. One or more targets to build. Separate multiple targets with spaces. Properties to pass into Ant on the command line. Press the "Insert" key to add new Properties. 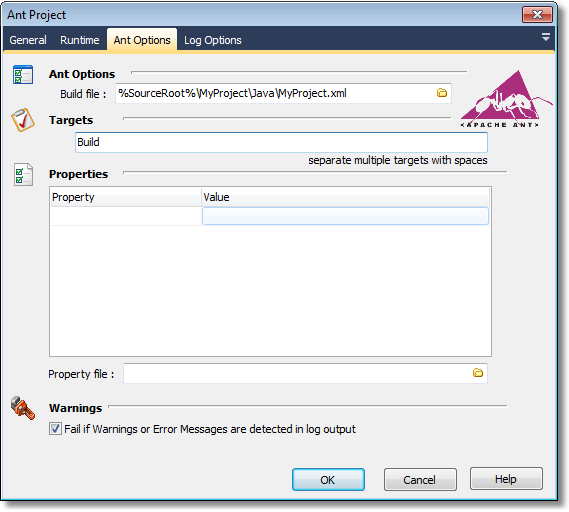 If this option is enabled, the Ant Project Action will fail if any error or warning messages are detected in the log output. This means the action may fail even though the overall result from Ant is "Success". In some older versions of Ant, this option may be required in order to properly detect failed projects. Choose a logging level for the output from the action. This is equivalent to passing the -emacs option to Ant. Check this box to specify a path for Ant to write a dedicated log file. 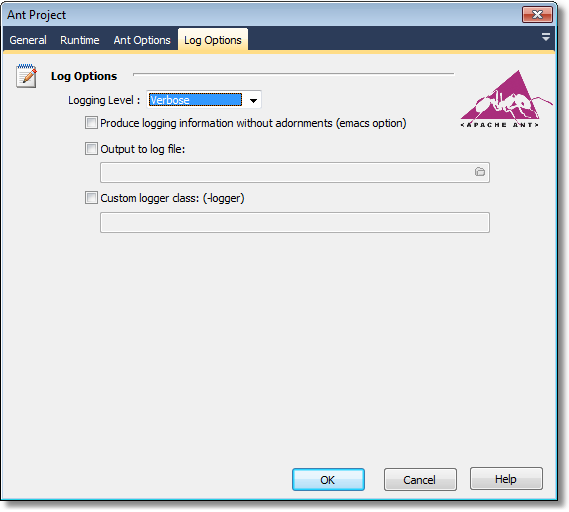 Check this box to specify the name of a custom logger class.